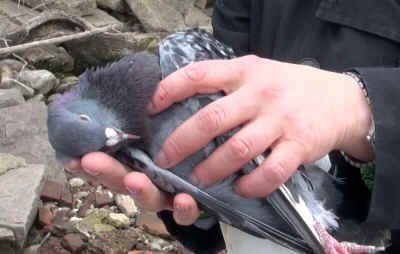 Please join us in calling on Pennsylvania Attorney General Kathleen Kane to stop the impending Labor Day pigeon shoot (August 31 and September 1, 2013) to be held at Wing Pointe in Berks County. SHARK has sent letters and supporting documents to Pennsylvania Attorney General Kathleen Kane and Pennsylvania State Police Commissioner Frank Noonan, which sets forth the legal reasons why live pigeon shoots are illegal under current state law, and demanding that action be taken to stop an impending two-day shoot to be held Labor Day weekend in Berks County. Pennsylvania statute 5511 states that you cannot ill treat, abuse or abandon "any animal." There is no exemption for pigeons under the cruelty statute, meaning that they are, in fact, covered under it. They are also not part of the game code [see letter from the PA Game Commission]. Therefore it is not a question of if pigeon shoots are illegal, but why won't the authorities stop them? SHARK's letter includes links to video statements supporting the illegality of pigeon shoots from the former Executive Director of the Pennsylvania State SPCA and current Executive Director of the Berks County Humane Society, a letter from the Pennsylvania Game Commission stating that pigeons are not in the game code, two reports exposing the conflicts of interest with the district attorneys of Bucks and Berks counties, which explains why they have refused to take action against pigeon shooting operations under their jurisdiction. Finally, the letter contains a link to a recent video narrated by TV icon Bob Barker which contains video evidence of the cruelty committed at live pigeon shoots. For more, visit Pigeon Shots!